Latest poll shows Likud leading by 3 seats, right-wing bloc growing to 68 seats. A survey by the Walla website and the Panel Politics institute headed by Menachem Lazar revealed that the Blue and White party has fallen below 30 seats for the first time since it was established. 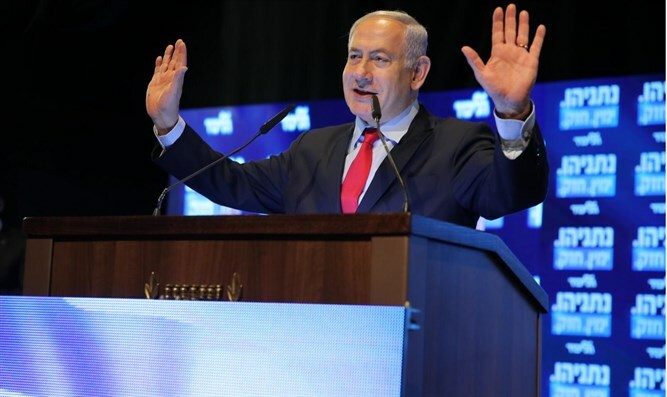 According to the poll, if the elections were held today, the Blue and White party would receive only 29 seats, while the Likud party led by incumbent Prime Minister Binyamin Netanyahu would receive 32 seats. If the elections were held today, the Hadash-Ta’al list would win nine seats, the Labor Party eight seats, the United Right seven seats, and the New Right, United Torah Judaism, and Meretz parties would receive six seats apiece. Yisrael Beyteinu would finish with five mandates while Shas, Kulanu, and Moshe Feiglin’s Zehut party would just cross the electoral threshold with four seats each. Orly Levy-Abekasis’ Gesher party and the Balad party would both fail to clear the electoral threshold. The poll showed the right-wing bloc winning 68 Knesset seats, compared with 52 seats in the left-wing and Arab bloc. The survey was conducted using an Internet panel of 998 respondents composing a representative sample of the Jewish and Arab population in Israel and has a sampling error of 3.4%. Trump: Ben Carson is 'brilliant and optimistic' Dr. Ben Carson, a former rival, complimented by President-elect Donald Trump as he accepts HUD Secretary position.